Do you have a significant anniversary coming up? Looking to take your twenty best friends on a shindig? Then you need our Guru’s Ultimate Guide to the Best Party Hotels! There are some great hotels offering exclusive use, and the following is our round up of the best party hotels. Whether for a special birthday party, a hen or stag event, or an intimate wedding, our Guru-recommended best party hotels are all romantic, all in great locations and all fantastic venues for memorable parties! We've all heard about people being whisked off to Rajasthan palaces in private jets and carried about on elephants, or treated to a four day extravaganza in Marrakech. I was even told of one party who were met at Carcassonne airport by 20 identical lime green 2CVs and map. But if you are planning your own, or even just a joint holiday with another family or two, it’s good to know that some of the best party hotels are here in the UK or Europe, and they don’t always cost the earth! Best Party Hotels in Deepest Rural Settings. For many of us the best party hotels would have a very loud, outdoor sound system which would allow you to dance the night way without disturbing the neighbours. And for others the best party hotels are places which would allow you to recover from a hangover in blissful silence, spiritually uplifting as well as memorable places to party. 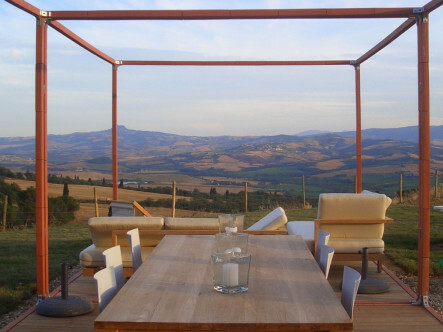 One of our best party hotels which ticks these boxes is in the hills of southern Tuscany, near Montepulciano. The wonderful La Bandita, a converted farmhouse with plenty of style, is more of a luxury serviced villa than a hotel, it makes for a great party hotel venue with a wonderful pool, fabulous views, a private gourmet chef and a fine wine cellar - and no neighbours for miles! Or try the super relaxed Finca Buenvino, north west of Seville in the Sierra di Aracena, which is charming, in a lovely, rural location, has wonderful cooking, and a relaxing infinity pool with views over the valley. It also has three secluded cottages in the grounds, some with their own plunge pools, so it would make a great party venue for a mix of family groups. A great pool is a must-have for many best party hotels. 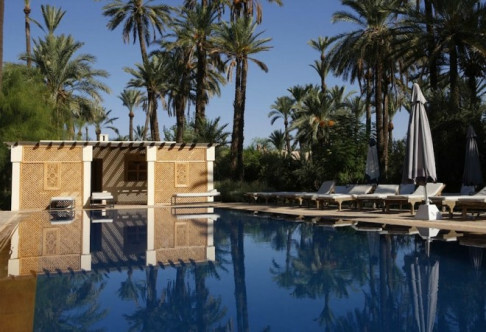 For blissing out by the pool in between charming excursions, try Meryanne Loums' magical Jnane Tamsna in the Palmerie of Marrakech. It's like a country house, with separate villas for all your friends - with separate, private pools - and a wonderful organic garden. 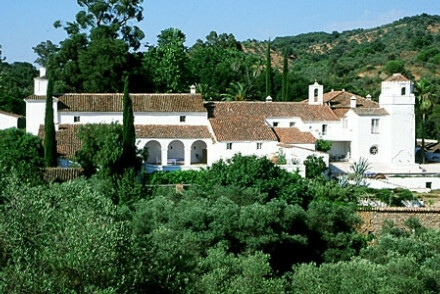 Another option, and one of the best party hotels for those 'in the know', is Trasierra, a charming and supremely laid back Spanish country house retreat, with two swimming pools, and relaxed and romantic dining by candlelight under the stars. With 15 rooms, you'll need a large party for exclusive use, but it's a very special place. Sometimes you want to hold a celebration in a city, somewhere you can organise dinners out and trips to see stuff. 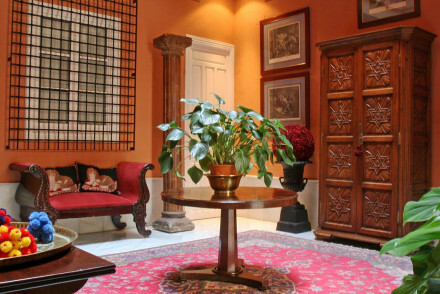 One of the best party hotels - for a small party, is the six room Casa No 7 in Seville. 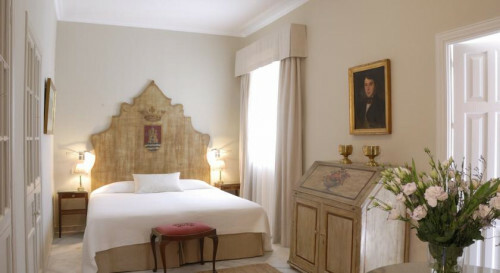 Full of character, and in the heart of one of the most fascinating cities in southern Europe, it’s intimate, with white-gloved butlers and exquisitely decorated rooms full of rugs and fine fabrics. 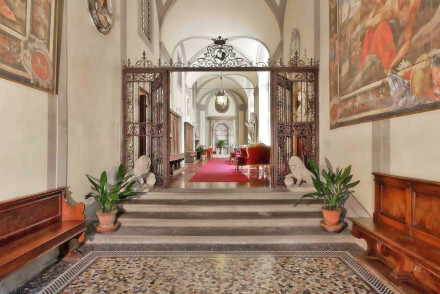 For a larger party, check out the grand Palazzo Magnani Feroni, close to the Ponte Vecchio in Florence. All its 12 rooms are massive suites, which could easily accommodate children too, and there’s a large baronial function room where you could hold a party. 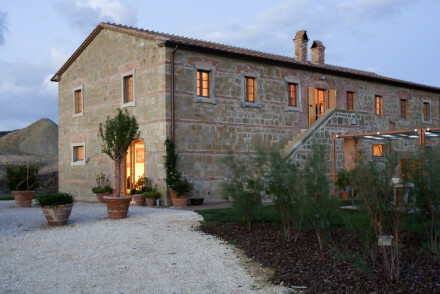 It's got plenty of atmosphere, being the converted palace of an old Florentine family, and considering it's history is incredibly good value. Then there’s Marrakech - practically any of the riads on our Guru’s list would work as party hotels, but perhaps the best party hotel we came across, is the Dar Fakir riad - its seven rooms are all grouped around a delightful inner courtyard, a great place for a fantastic party, and if there are more of you, it is easy to accommodate extra people in nearby riads, all within walking distance. 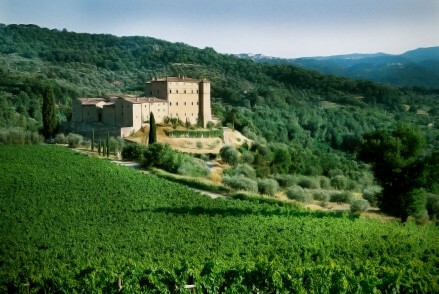 Back in southern Tuscany, one of our best party hotel venues is the magnificent Castello di Potentino, run by a delightful Englishwoman called Charlotte Hornton. 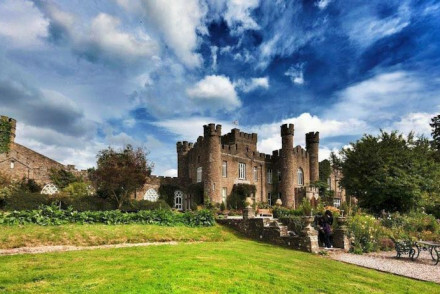 This castle dates from the early Middle Ages, and has fabulous views over the surrounding hills and countryside. Rooms are atmospheric, with antiques and lovely fabrics, and it's great venue, with a large baronial dining room for dinners, and great value. 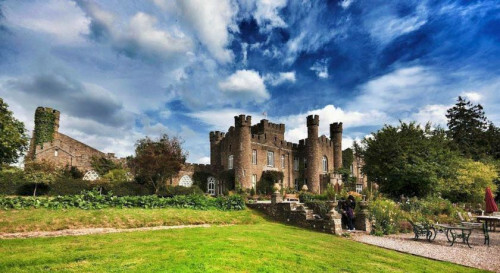 The eccentric mid-Victorian-folly-castle - Augill Castle is also one of our best party hotels. Equidistant between the Lake District and Yorkshire Dales, its 14 rooms boast roll top baths and four poster beds, it's set in stunning countryside and meals are taken around a large oak table. 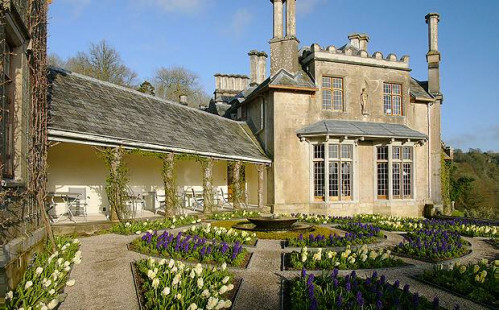 If you want the English country house experience, one of the best party hotels has to be Olga Polizzi's grand but relaxed Endsleigh Hotel in Devon, a place for long walks and magnificent meals in imposing surroundings. 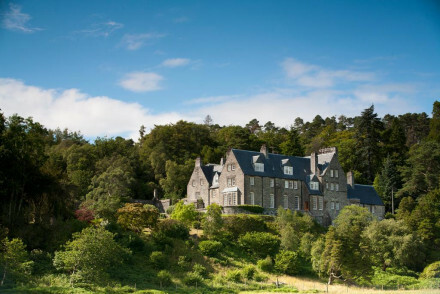 Or, for one of our best party hotels in a country house on a smaller scale, consider Arisaig House in Scotland. This luxury country house b+b is set amidst lochs and hills in some of the most romantic scenery in Europe, opposite the delightfully named western isles of Eigg, Rum and Muck, and is the perfect party setting for groups up for picnics, boat rides and plenty of fresh air and exploring. A fairytale hideaway set in acres of beautiful gardens. Minimalist Moroccan splendour achieves a peaceful contemporary look. Organic produce from the gardens and the hammam spa awaken the senses. The perfect location for a wedding or group holiday. Families - With extensive gardens, five pools, tennis courts, and prebooked specialised kids activities this is the perfect family getaway. Weddings - One of the hotel's main clientele due to the beautiful grounds and flexible accommodation in different buildings. Garden - A 15-acre walled estate. This statuesque family-run hotel is set in the undulating mountains of Sierra Morena. Surrounded by olive and orange groves stands a country retreat with swimming pools, tennis courts, and beautiful courtyards that make for a perfect country retreat - and with oodles of personality. Exclusive use - If required. 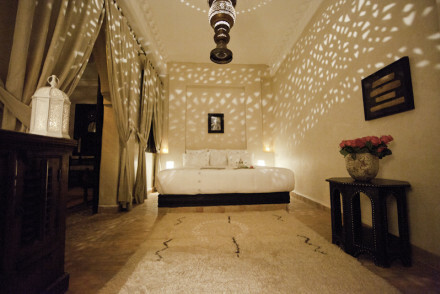 Romantic central Riad with flickering lights and cosy rooms. Exceptional value for money. Elegant rooms in Berber style in creams and beiges. A place to impress. Standing between the Lake District and the Dales rests this eccentric castle welcoming all the family into the countryside and the Eden Valley. 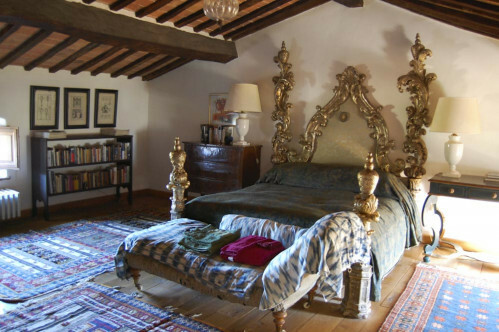 Four poster beds and antique furnishings make up the comfortable rooms. Restaurant is open on weekends. Great hideaway and local exploring to be done. Families - With fantasatic facilities for kids, from cooking classes, to playgrounds, dressing up boxes and plenty of toys. Country Escape - Spectacular walking, wonderful views and whiskey in the drawing room old school weekend in the country vibes. Great walks - With national parks all around, this is the perfect spot to get on your walking boots. Cooking classes - The hotel has a wonderful cookery school for children. Views - Great views over to the Small Isles. House party feel - Great for parties! 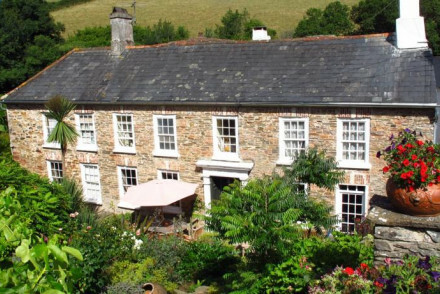 Delightfully informal boutique B&B near the River Dart. 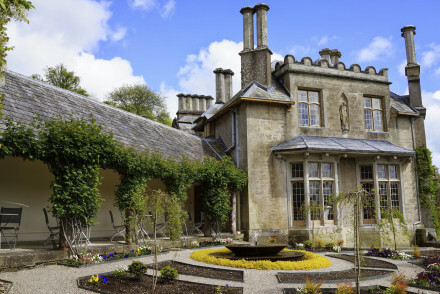 'Quintessentially English' - this 17th Century house is full to the rafters with art and antiques and home to a fine lawn, and grass tennis court. A magical spot for a proper home from home experience! Local exploring - Explore the surrounding countryside, from vineyards and country houses, to seaside and river adventures. Great walks - Using the river as your guide, the countryside truly is your oyster. Sailing - Lessons available nearby on the River Dart.